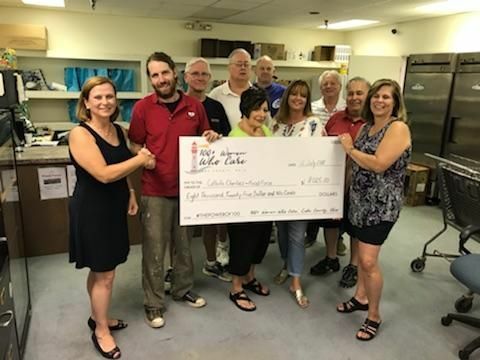 In June of 2018, we donated $8,025 to Catholic Charities Food Force Backpack Program. The Food Force shared with us during our fall meeting what our donation dollars helped the charity to achieve in Lake County. The Backpack Program provides weekend meals for children in the Painesville area. While these students are receiving daily lunch in their schools, meals are not guaranteed during the course of the weekend. Catholic Charities Food Force is actively working to change that. All of the meals distributed are packed as part of job training for intellectually disabled people, and a volunteer network is utilized to distribute the food to children’s homes. Through donations such as ours, Catholic Charities Food Force initially hoped to bring food to 132 students beginning in September. In September of 2018 we donated $7,701 to Sub Zero Mission. In March of 2018 we donated $8,000 to Life Brand Cowboy Church. 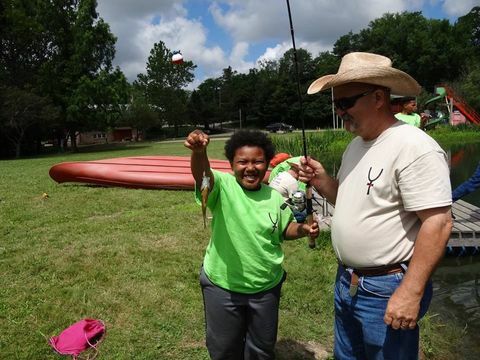 Life Brand Cowboy Church is a week-long summer horse camp that provides Lake County and Cleveland inner city underprivileged youth with camp experiences geared towards enriching their lives through showing self-worth and love. Throughout the course of the week campers enjoy activities such as horseback riding, fishing, swimming, archery, tomahawk throwing and hiking. This year, thanks to donations such as our, Life Brand Cowboy Church enriched the lives of 25 children at camp. Our donation specifically allowed for the purchase of new safety helmets for all children. Additionally, thanks to our donation, camp goers were also provided with all the camping essentials such as sleeping bags, googles, swimming gear and towel, flashlights, notebooks and a backpack to carry the items throughout camp and eventually back home. In June of 2018 we donated $8,025 to Catholic Charities Food Force. Catholic Charities Food Force is a charity that provides weekend meals for children in the Painesville area. While these students are receiving daily lunch in their schools, meals are not guaranteed during the course of the weekend. Catholic Charities Food Force seeks to change that. All meals are packed as part of job training for intellectually disabled people, and a volunteer network is utilized to distribute the food to children’s homes. Through donations such as ours, Catholic Charities Food Force will bring food to 132 students beginning September 20th. Life Brand Cowboy Church is a week-long summer horse camp that provides underprivileged youth aged 11-15 with camp experiences geared towards enriching their lives through showing self-worth and love. At Life Brand Cowboy Church the city meets the country and life-changing relationships are formed. Throughout the course of the week campers enjoy activities such as horseback riding, fishing, swimming, archery, tomahawk throwing and hiking. Through donations such as ours, the camp hopes to sponsor 28 youths this summer. Little Annie's Hope Train, an organization dedicated to providing aid in the form of food, clothing, and shelter to homeless throughout the state of Ohio. On March 13th 2017 we donated $6,350 to Eastlake LaCrosse Club. Eastlake LaCrosse Club encourages anyone with a desire to play LaCrosse to join their team. Their team is entirely grass roots. Their team consists of boys who live on the fringe and have a desire to make something of their lives. There are no tryouts and no requirements to fit a certain model. Their funding comes from donations from the parents of the boys who play and the community support. On June 12, 2017 we donated $7,050 to the Grove Church Community Supper and Taxable Item Giveaway. IN 2016 100+ WOMEN WHO CARE, LAKE COUNTY, COLLECTIVELY DONATED $18,050. On March 14, 2016 we donated $2,950. to Five Loaves, Painesville. On June 13, 2016 we donated $4,000 to End 68 Hours of Hunger, Lake County. The Problem: Childhood food insecurity is a national problem, it occurs when children receive insufficient food on a regular basis; in many cases missing meals entirely. After a while, these children also experience “fear of hunger” that affects their behavior as much as physical hunger affects their bodies. There are more than 16 million food insecure children in America today. You might have heard about us; We are 100+ Women Who Care, Lake. We are committed to making a difference in our local community through the power of collective philanthropy. While our main focus is providing crucial help to local charities, we’re also having a lot of fun. We are excited to gather a group of 100+ Women for the purpose of helping those in need. Depending on our membership, the chartable organizations may receive $10,000+ in one hour! That is powerful! That is world changing! 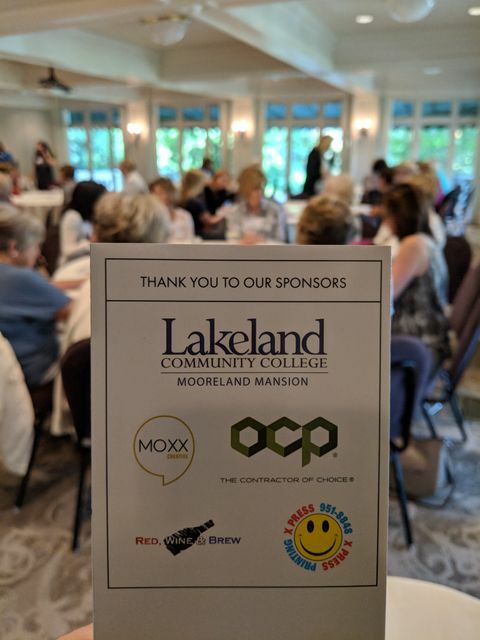 Together, 100+ Women Who Care, in our Lake County community, can significantly impact the many local organizations and agencies devoted to improving lives.